Jio Latest News, Update: Jio Phone Pre-Booking, Jio Phone Buy Kaise Kare ? Jio Latest News, Update: Jio Phone Pre-Booking, Jio Phone Buy Kaise Kare ? : Jio Phone Ka Per-booking 24 August Se Start Hoga Ye to Hum Sab Jante He Hai. To Finally Aaj 24 August He Or Aaj 5:00 PM Se Jio Phone Booking Start Hogi. Bahut Se Mobail Shop Jio Phone Ka Booking Advance Me bhi Karte aa Rahe hai, but now official Per-booking Day Is Today so yaha Pe Hum Janege ki Jio Phone Kaise Kharide ? > Jio Phone Not Supported WhatsApp. > Jio Phone Per-booking Available On Jio.com, My Jio App & Jio StoreJio Phone Kaise Buy Kare ? How To Buy jio phone ? Aapko Pata He Hoga Ki Jio Phone Ka booking jio.com Official website, my Jio App & Jio Store Pe kar Sakte He To Kya He Jio Phone Buy Karneka Process ? 1. How To Buy Jio Phone From Jio.com website ?? 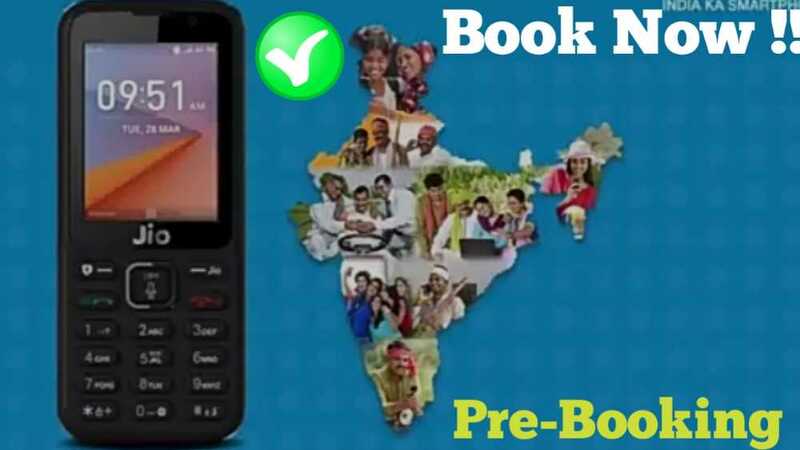 Jio.com official website Pe Jaye Yaha pe Aapko Per-booking Ka Option Milega Uspe Click Kare. Then Aapko Apna Aadhar card number Add Karna Hoga. Verify Karna nai Hai Avi just Aadhar card number hona chaiye. Ye Derails ke Baad Aapko 500 Rs ko online Payment Karna Hoga. Ye Booking Payment Hoga. 500 Rs Payment Karne ke baad Aapka Jio Phone Register Ho Jayega. Uske Baad jio Aapko SMS ya call Se content karega. Jab Aapko jio Phone Mil Jaye tab Baki ke 1000 Rs Pay Karna Hoga. So Agar Aap jio phone ko jio website ya my jio app Se Book Karte ho to yeah Process Rahega. In Short Register time Pe 500 Rs or then Dlevery time 1000 Rs, is tarrah 1500 Rs Pay Karna Hoga. How To Book Jio Phone From Jio Store ? Jio Store Pe Jake Phone Book Karna Hai. Booking time Pe 500 Rs & mobile Mile tab 1000 Rs Pay Karna Hai. So Ye hai complete Process Jio Phone Book Karneka. Agar Aap jio phone Book Karna Chahte Ho to Aaj 5:00 PM Pe Jio.com ya My Jio App Se Book Kare, thoda Jaldi because website Pe Traffic Bahut Jyada Hoga. I Hope Aapko Jio Phone Book kaise kare Ye Jankari Mil Gayi Hogi. Agar koi Question He To Comment Kare Or Ye Jio Phone Book Karne ki Puri Jankari Jarur Se Sabhi ko Share Kare. 0 Response to "Jio Latest News, Update: Jio Phone Pre-Booking, Jio Phone Buy Kaise Kare ?"